Juneau is filled with unexpected treats. The State Office Building is not just a building headquartering many of the state’s functions. 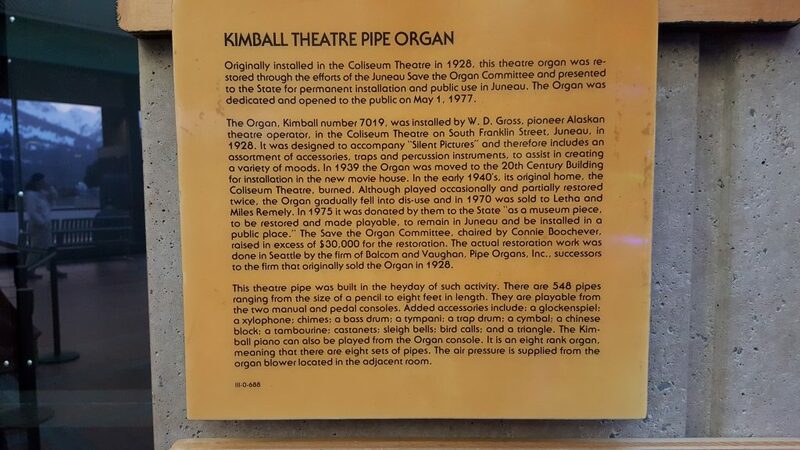 It features a large atrium with an amazing view of Gastineau Channel and Douglas Island, featured items from the State Museum and a large theater organ with a history dating back to 1928. 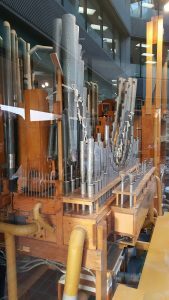 The organ once played a key role in providing sound to the early 20th century silent films. 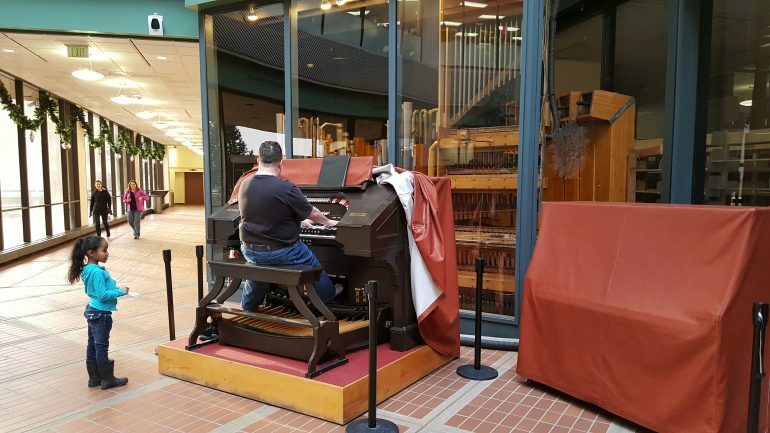 Now, every Friday at noon, an organist tickles the keys and stops delivering a delightful concert of popular and classical pieces delving into a variety of musical genres. The short performance is free of cost and open to everyone. If you are in town on a Friday afternoon, be sure to stop by the SOB at noon. Bring your lunch and have a seat in the atrium. Enjoy the view and treat yourself to a serenade by the organ. 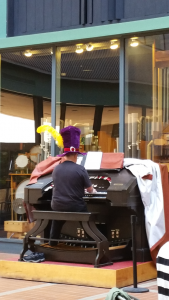 As you can see in the photo below, the organ has a colorful cultural history. It’s a delight to be able to continue to enjoy it to this day!